Meditate on the very first time you indulged in a taco. The aroma of fresh ingredients. The vibrant flavours. A hint of lime juice on top. Effortless presentation with maximum taste. And the ease of just picking it up in your hand before you chow down. It’s really no surprise that tacos are one of the most popular hand-held eats in the world. And lucky for us, Vancouver is home to some incredible Mexican restaurants where you can snap up some of the best tacos in BC. These eats are so good that Daily Hive teamed up with Toyota to do a taco test drive, hitting up three of the city’s best taco hot spots in a brand new Toyota Prius hybrid. It only costs $26 to fill up the tank, and on that you can drive for up to 945 kilometres. Such affordable fuel costs meant that Daily Hive had money left over to do some random acts of kindness during the taco test drive. Our team purchased a bunch of tacos and gave them out to people along the way. 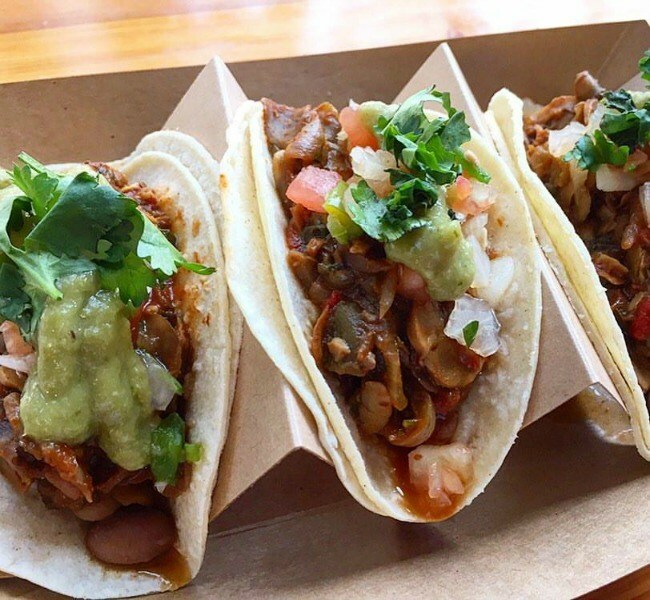 Here are three Vancouver eateries that you need to try when your craving for tacos becomes too much. The talented chefs at Tacomio keep their recipes and food simple yet insanely delicious. Order anything from one to four tacos and prepare to have your senses heightened with each bite. Served up in corn tortillas with pinto beans, sour cream, cheese, and your choice of filling, they’re the perfect grab-and-go snack. We sampled tacos that were packed with chipotle pepper, caramelized onions, cilantro, chicken, Angus ground beef, and braised pork shoulder. Epic. 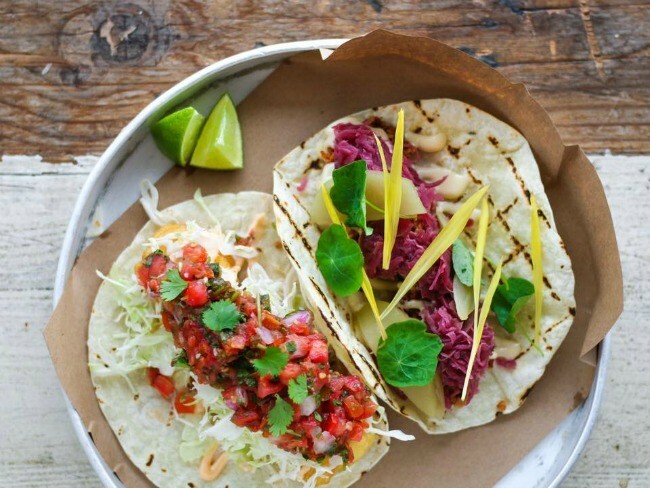 This trendy restaurant stems from the popular Tacofino food truck that you can still find in BC’s coastal surfing town, Tofino. The simple, quality Mexican food is inspired by bold flavours and back alley barbecues that the owners encountered when hitting up surf destinations all over the world. Daily Hive tried the succulent fried fish tacos and lemongrass chicken tacos during their taco test drive in the Toyota Prius. 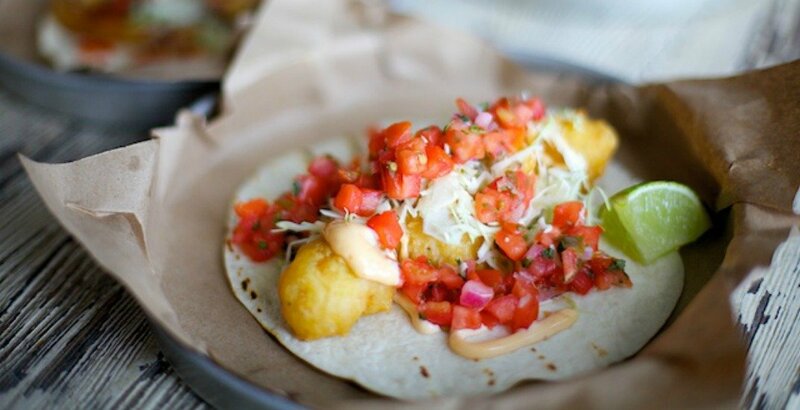 Other wild taco menu options here that you’ll want to try include the Walking Taco filled with chorizo, cheese sauce, bean dip, sour cream, and cilantro, or the Scrapple taco that comes with squash and chickpea fritter, tomato salad, lime crema, and verde. Located in the heart of East Vancouver, this vibrant Mexican eatery has a menu with everything you could imagine. Whether you’re after a simple chicken taco or a plate of juicy tacos al pastor, you’ll find them inside this vibrant eatery. Quirky, colourful artwork lines the walls and matches the bright colourful food and textures that you can enjoy in each dish you order here. Sal Y Limón serves up tasty tacos in four-inch corn tortillas with onions and cilantro – plus, you get to choose from a ton of tasty fillings. Daily Hive tried pretty much all of the tacos on the menu and gave them a solid thumbs up. 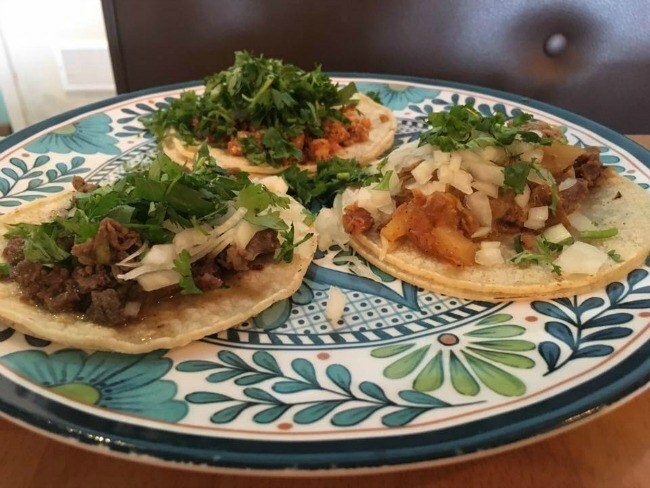 You can order options like the lengua taco (beef tongue), al pastor filled with marinated pork and pineapple, or even the Super Vegetariana taco that comes with mushrooms, zucchini, onion, and cheese. One of the best ways you can experience the city’s top three taco eateries is by doing your own version of the taco test drive around the city. Daily Hive took the Toyota Prius along for the ride and found it incredibly smooth to drive. Filling up the tank with just $26 means that you can drive for up to 945 kilometres, and that leaves you with extra cash to spend on tacos. Obviously. The Toyota Prius uses almost 50% less fuel than non-hybrid alternatives. It’s one of the most affordable cars to own when you factor in depreciation, fuel cost, loan interest, insurance premiums, sales tax, and maintenance and repairs. And it gets the best fuel economy of any gasoline-powered car in Consumer Reports. In a year, Toyota Prius owners will spend an average of $650 on fuel, in contrast to drivers of the Kia Forte Koup for an average of $1,250. That means you could save around $600 annually driving this car. You’ll also save on maintenance costs as the Prius has the lowest average maintenance costs of any car in a 10-year period, according to YourMechanic. The car has also earned the ‘Green Top Pick’ by Consumer Reports for the past 12 years. And to make it even better, the battery in your Toyota hybrid will never have to be replaced in the car’s lifetime. Plus, you can enjoy all the added luxury features like Bluetooth connectivity, premium sound systems, upgraded wheels and tires, and high-quality interiors, which will make any driving experience special – tacos or not. For more information on how you could be saving money as you drive, check out the Toyota Prius online.